Discount available! 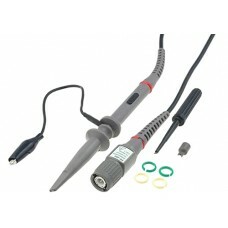 Recommend 200 MHz Oscilloscope probe to your friends and get your Discount. ● Integral injection molding makes the usage more flexible and the oscilloscope able to adapt more testing situations. Oscilloscope with function generator / arbitrary waveform. It has a large LCD display 7 &q..
Oscilloscope for the laboratory with high performance. It has a large color TFT display ..
PC USB Oscilloscope 2 channels 100 MHz with high level performance. Excellent indus..
PC USB oscilloscope with high performance level characterized by an innovative design. I..
Digital Storage Oscilloscope with a high-level performance. I..
4CH​ oscilloscope and function arbitrary waveform generator. The performance of thi..